Earlier this year in May, TSMC confirmed that it had entered volume production with its basic 7nm process. 7nm will feature huge gains over 10nm. The process is expected to improve power efficiency by 40% and reduce area by 37% over its predecessor. 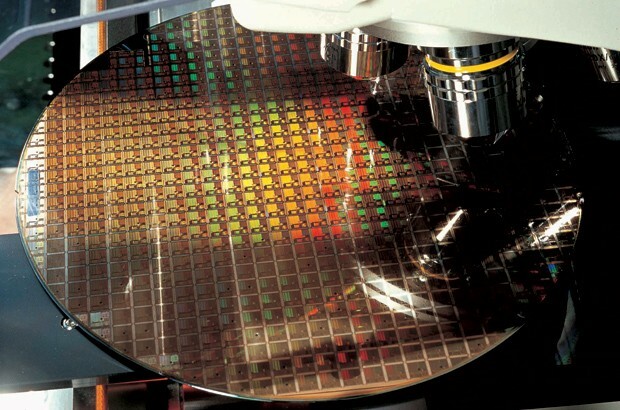 Therefore, it’s no surprise that TSMC’s customers will be very interested in the company’s N7 process. N7 and N7+ are TSMC’s monikers for 7nm and 7nm+ respectively. Now, we’re learning that the fab is speeding up manufacturing for 7nm. Take a look below for more details. TSMC provided us with a lot of details last month. The company confirmed that its N7 process has entered volume production. It also opened up about the N7+ for the first time. The N7+ represents TSMC’s 7FF+ process, the first from the company to utilize Extreme Ultraviolet Lithography. TSMC confirmed the node’s IP validation but also conceded that several of its blocks will not be available before the end of this year. Today, we’ve got some industry reports for the N7, which represents TSMC’s 7nm process. It’s now reported that the fab is pushing its production schedule up for the process. This development is a direct result of several of its customers choosing to skip over 10nm and jump directly to 7nm. The list of TSMC’s customers includes. HiSilicon, Qualcomm, and MediaTek. Today’s report serves to provide the reason behind TSMC’s earlier announcement of entering volume production for 7nm in Q2 2018. The company expects that 7nm sales will make up for 20% of Q4 revenues and 10% of the entire year’s. Sales for 10nm grew to 19% of the fab’s total sales in Q1. They will, however, decline to less than 10% by the end of this year, noted company CFO at a recent investor conference. The fab will have a good time with its 7nm node as both Apple and Qualcomm will source their chips from the company. Apple made some serious performance gains with the A11 and this year the company might rely more on process gains rather than architectural. For Qualcomm, the company just might find adequate leeway to focus on performance gains as 7nm takes care of power efficiency. Thoughts? Let us know what you think in the comments section below and stay tuned. We’ll keep you updated on the latest.